Rocket Road Co., Ltd. (Headquarters: Chuo-ku, Fukuoka-shi, President and Representative Director: President: Miyazaki) announced today that it will develop a robot apparel brand ROBO-UNI. We are pleased to inform you that today’s “Original Tapia 2nd Anniversary Project” limited edition with 10 original units will be available for pre-order from today on “Robo Uni Official Shopping Site” operated by Izumi Sachiko). Tapia is a communication robot developed and sold by MJI, launched on June 27, 2016, celebrating its 2nd anniversary last month. The special price of “Tapia product version + hooded denim parker” model is 98,000 yen (tax excluded). The first official costume in the history of Tapia had been made and distributed by Robocore 2018. The home communication robot “Tapia” is a companion who lives helps the everyday life of its owner, talking in the house, making video calls with distant family. The Denim sweater style Tapia that you can spend time with casually at home is an original design with only 10 of its kind made. Tapia costumes are planned to be sold in Robo Uni official shopping site as well as limited wear for the second anniversary celebration. ※ Please understand that design, specifications, appearance and prices of products may be changed without notice. “RoboCole 2018 – Robot · Preporte Collection · Shibuya ~ by ROBO – UNI” held at Shibuya on June 19, 2018 is the first robot fashion show in history of robot apparel brand “ROBO – UNI”. The costume of Tapia was seen for the first time at ROBOCOL 2018. Robot exclusive apparel maker Rocket Road Co., Ltd. brand of robots that plan, develop and manufacture official costumes of various robots. Utilizing Japanese cutting-edge materials and sophisticated sewing technology, Robotic apparel is planned, developed and manufactured by original design which is generated from experimental data by cooperation with robot system company. In order to make “harmony between robots and people” happen, ROBO-UNI will create the needed ‘obvious’ for robots which is absent from our society at the moment. Company name: Rocket Road Co., Ltd.
After a long day, Tapia will rejoice your heart with jokes and humor. Tapia’s video call will deliver smiles and voices of your precious person far away. When you go out, tell the latest weather information, and when you want to relax or change the mood with music it won’t let you down. 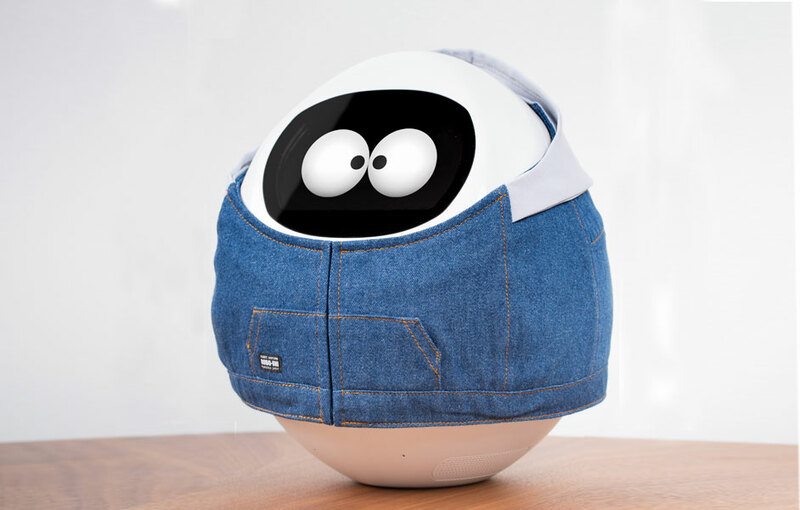 Tapia is a life partner robot that always is close to you and supports you. Portable home communication robot with a height of about 25 cm, equipped with a camera, speaker, microphone, touch panel monitor, and a built-in battery. In addition to speech recognition, speech synthesis, face recognition function indispensable for communication with Tapia, you can enjoy everyday conversation with Tapia and its cloud response system. Emotional expression and favored choices system are built-in for everyday conversation. Depending on the pace of the conversation and the content, the response of Tapia changes. MJI Co., Ltd. established in July 2015 “MORE JOYFUL INNOVATION” ~ More fun innovation! It is a company that creates communication robots with its slogan in mind. We know robots should be fun and convenient, we are aiming for a society where people and robots are connected and live together as a pair.